Coldwater is a faith-based nonprofit centered in Lee's Summit, Mo. Our mission is to build friendships that foster hope in our community while providing food and clothing for those in need. 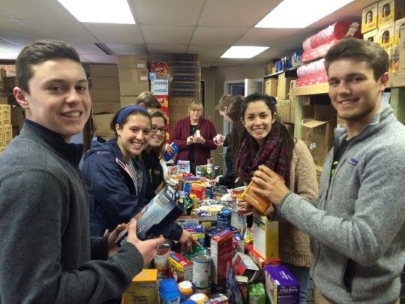 Coldwater serves the community through the following teams: Coldwater Food Pantry and Clothes Closet which served over 2,900 families in 2016, Senior Mobile Pantry delivers groceries to 40-50 home bound seniors, No Hungry Kids Program distributed more than 5700 Harvesters BackSnack backpacks to elementary kids in Lee's Summit and backpacks to 840 preschool children during the 2015-16 school year, Summer Lunch Program distributed more than 5,200 lunches to two low-income neighborhoods in Lee's Summit in the summer of 2016, and the Summer BBQ Program sponsored 16 BBQ's in two low-income neighborhoods averaging 240 people being served.